Whether you’re training for your next marathon or competing in your first 5k, you need a shoe that propels you forward. 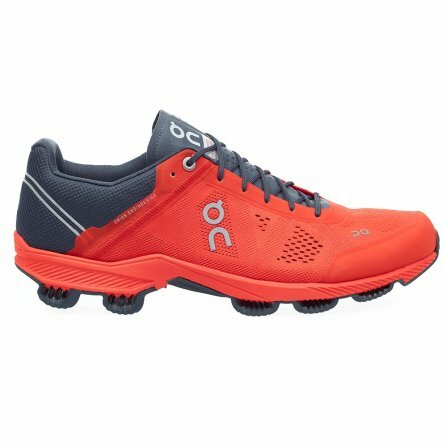 The ON Cloudsurfer Running Shoe is designed to do just that with 13 unique ON “clouds” that dampen impact and give you a much-needed spring into your next step. The ON Cloudsurfer adds four larger arrow patterned clouds at the heel of your shoe, increasing traction for wet conditions. And because running shoes aren’t only about performance, these come with a comfortable sockliner, reflective features for improved low-light visibility, and a mesh construction to keep your feet cool and fresh.